As the UK's leading supplier of Aerosol Sprays, Promain have a vast selection of Heat Resistant Aerosol Sprays for you to choose from. We have developed a solid reputation for delivering effective products and we work hard to ensure that this reputation is maintained. 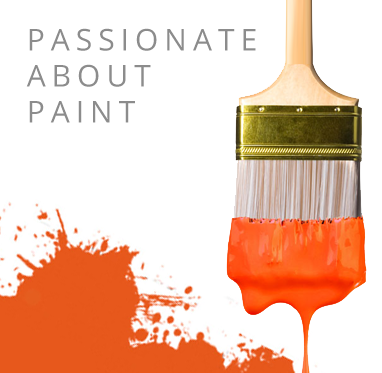 As industrial suppliers of paint, we offer heat resistant aerosol sprays, all of which have been sourced from the leading manufacturers, Rustoleum and Hard Hat, to ensure our customers are getting only the very best products available on the market. A quick-drying, ultra-tough heat-resistant finish designed for stoves, BBQ's, engines, radiators and other metal items. Heat resistant aerosol sprays are perfect for use on engines and can be used on very high temperatures, these heat resistant sprays can be used on bare metals or slightly rusted surfaces to provide high temperature protection. As well as engines and stoves, heat protection aerosols can be used on stoves and BBQs as well as radiators. As well as heat protections, these aerosols also provide rust protection to any metal material that you apply it too. These sprays are suitable for both indoor and outdoor use and provides a very durable cover that is resistant to corrosion. These sprays are available in both black or aluminium silver. If you are looking for heat resistant aerosol sprays then make sure you look no further than Promain. These sprays offer heat protection for any metal surfaces and can be used on temperatures up to 750 degrees. Here at Promain we make sure that our customers are getting only the very best products available on the market by making sure we source only from very reliable manufacturers. We would only ever sell heat resistant sprays that we know are 100% trustworthy and that we know are fit for the job.